So here we are, barely into winter and what do I have for you today? Chanel Spring 2014! Wheeee! 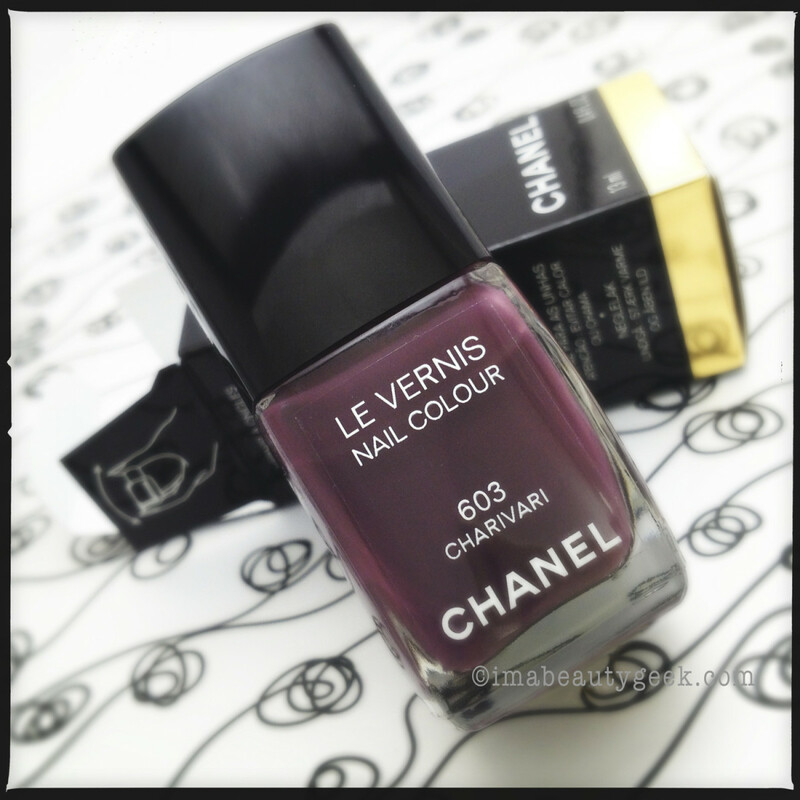 Here, lookit Chanel Charivari nail polish, AKA Chanel Le Vernis Nail Colour 603 Charivari. 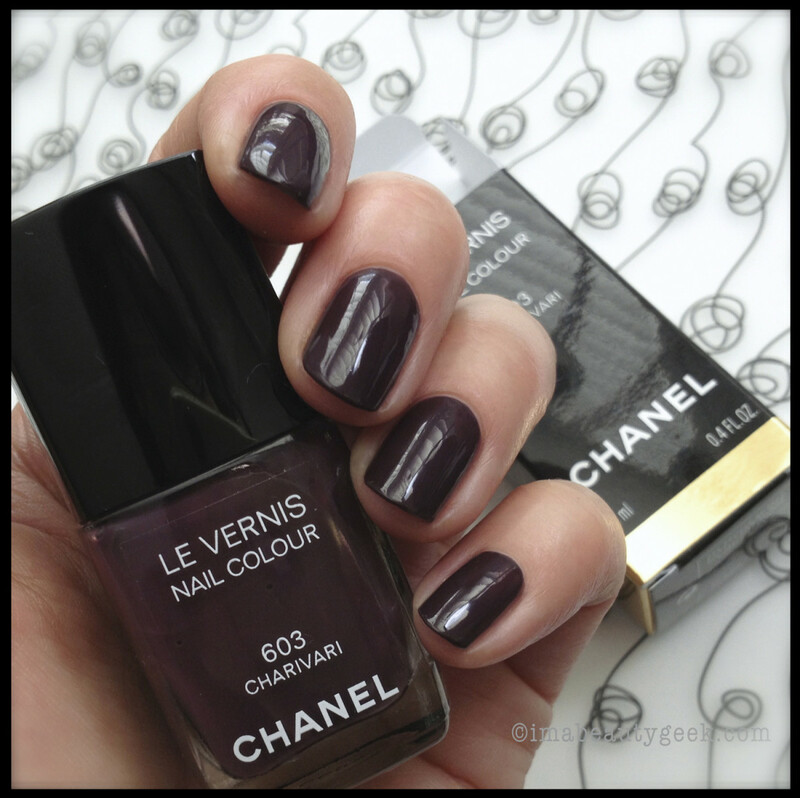 It’s a dark, dark, eggplanty mauve that I love. 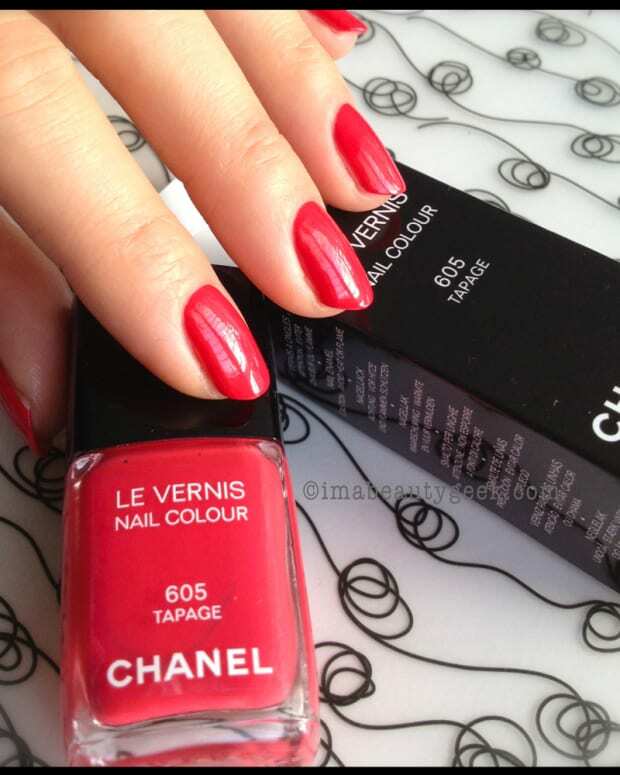 She goes on with an almost jelly-like consistency and it only takes two nice coats to get to what I’ve shown you. 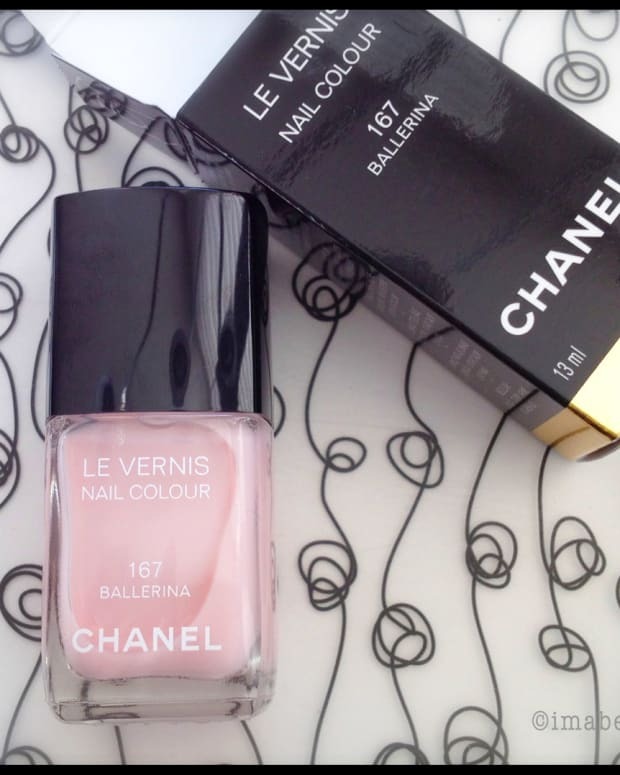 Along with Chanel Ballerina (swatched here) and Chanel Tapage (swatched here), Chanel Charivari will be available January 2014 ($28) with the rest of the Spring makeup collection (see it here). Until then, put it on your list of things to dream about. Me? I’m gonna wear mine now. Don’t hate. Charivari (or shivaree or chivaree, also called "rough music") is the term for a French folk custom in which the community gave a noisy, discordant mock serenade, also pounding on pots and pans, at the home of newlyweds. The loud, public ritual evolved to a form of social coercion, for instance, to force an as-yet-unmarried couple to wed. This type of social custom arose independently in many rural village societies, for instance also in England, Italy, Wales or Germany, where it was part of the web of social practices by which the small communities enforced their standards. Charivari is the original French word, and in Canada it is used by both English and French speakers. Chivaree became the common spelling in Ontario, Canada. In the United States, the term shivaree is more common. Marc Jacobs worked there as a stock boy. That is all. Geek transmission over. Are you pro-Charivari shiny? 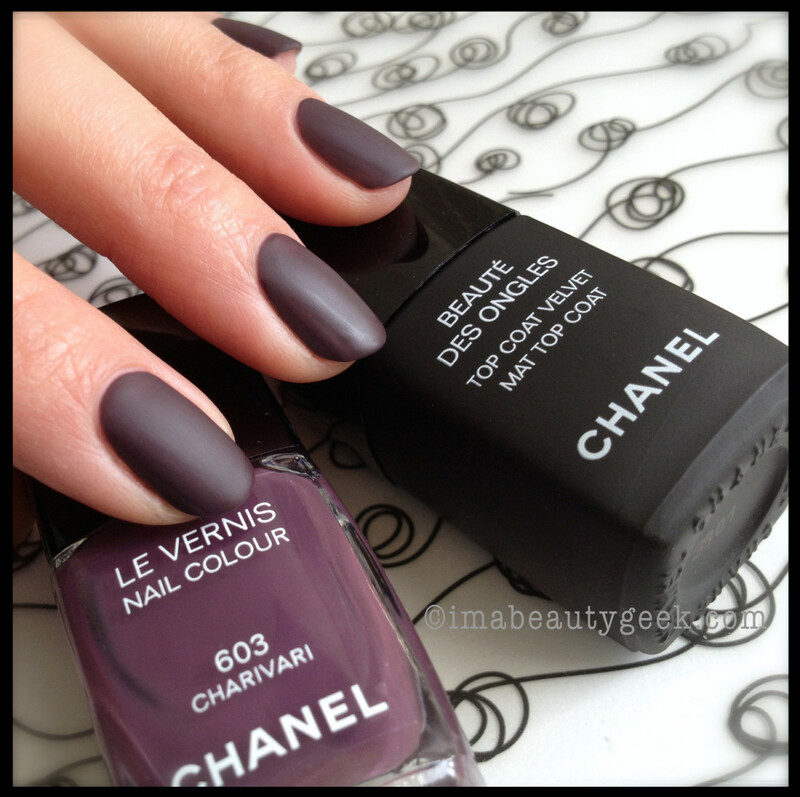 Or pro-Charivari matte?